Welcome back! 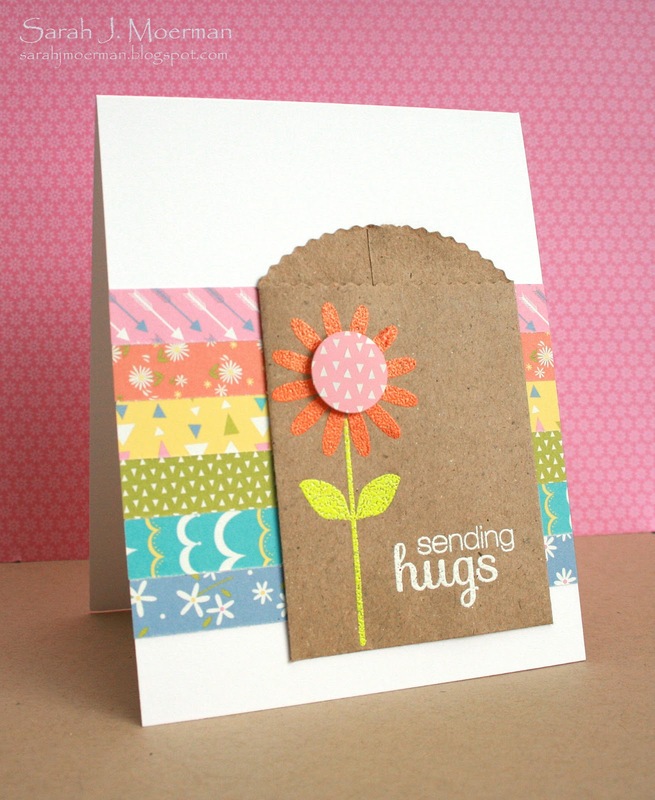 Today I'm sharing another card using the Simon Says Stamp March 2013 Card Kit (Friendship Flowers). Today's card uses some beautiful flower stamps, great stickers from the Lawn Fawn sticker sheet, and my favourite woodgrain cardstock (all from the kit). I white heat embossed a number of the images from the Flower Friends stamp set on white cardstock and used distress inks to fill in the unembossed areas. I then die cut the banner and heart. Some washi tape, a metal clip, and sticker elements finished things off. 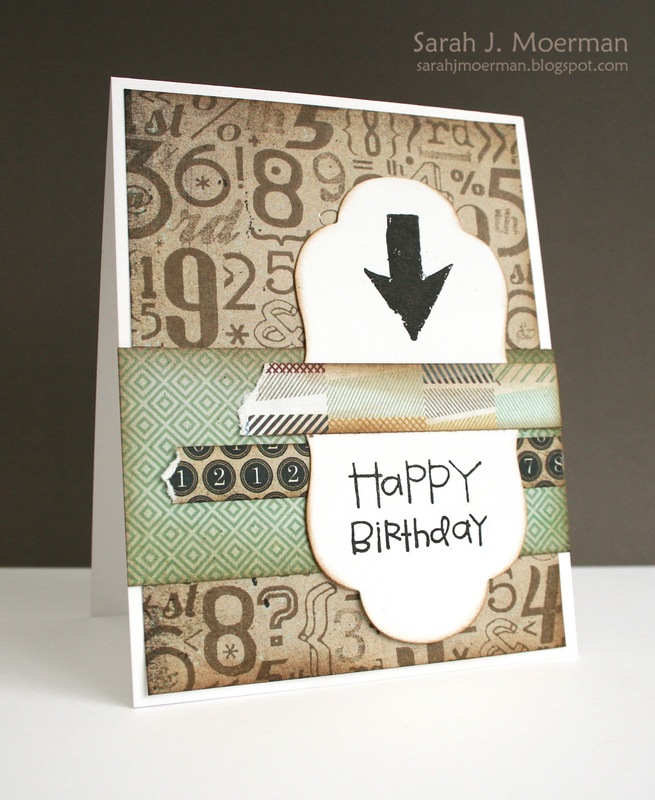 I'm back to share a card for this week's Simon Says Stamp Challenge! This week's challenge is everyone's favourite: Anything Goes! 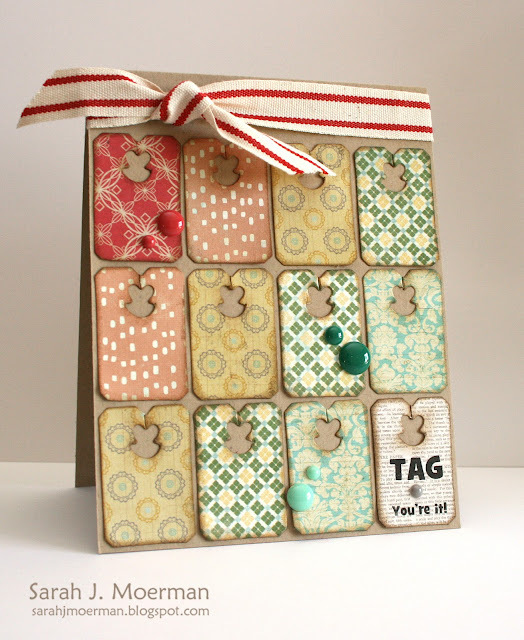 The design team is featuring Tim Holtz products! Yay! 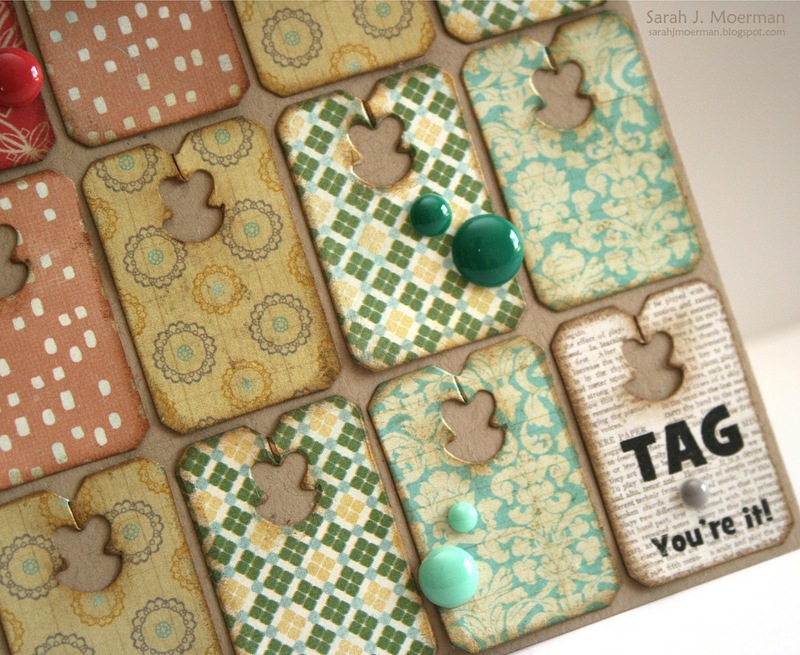 I decided to use the tie from the Tim Holtz Tag & Tie die set. I thought it was a great way to use up some scraps of patterned paper. 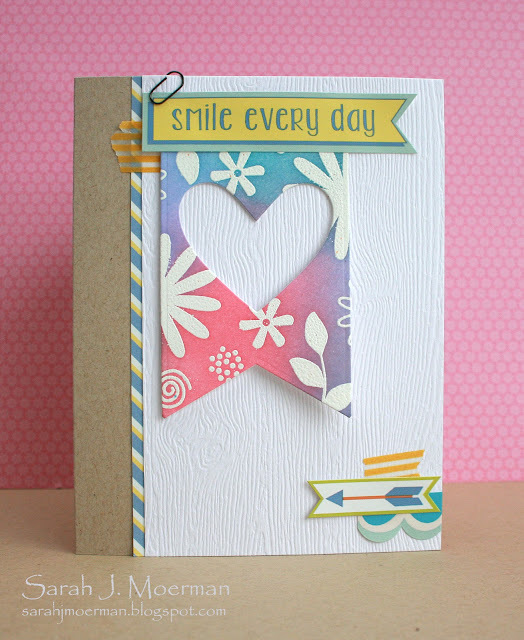 :) The ribbon is from the Simon Says Stamp December 2012 card kit. Initially I was going to use a birthday greeting with this card but then the 'Tag You're it!' just came to me. It reminded me of when I was in university and my boyfriend at the time (now my husband) and I would write long letters to each other. We would try to outdo each other in how long they were. :) Anyways, the sentiment is computer-generated. I printed it first on printer paper, adhered the tag on top, and ran it through the printer again. I'm back to share another card I made using the Simon Says Stamp March 2013 Card Kit (Friendship Flowers). One of the great things about this kit is, that although there's lots of pink and purple in it, it still has lots of great elements for making boyish cards too. I was inspired by the rainbow of colors in the patterned papers. :) The little kraft bag from the kit is the perfect size for a gift card or to tuck in a note that can't be contained in a card. This week's challenge is to put an arrow on it and the design team is using product from Basic Grey. Happy Friday! I don't know about you but I'm ready for the weekend! This weekend my kids have a couple of birthday parties to go to and so I've been busy making birthday cards. My mojo has been lacking lately and so I thought I'd pull out some new stamps and just make some cards for fun. No publication calls. No challenges. Just fun. It did wonders and my mojo has returned! Yay! These blueprint images are fabulous and I'd love to get a few more of the sets! 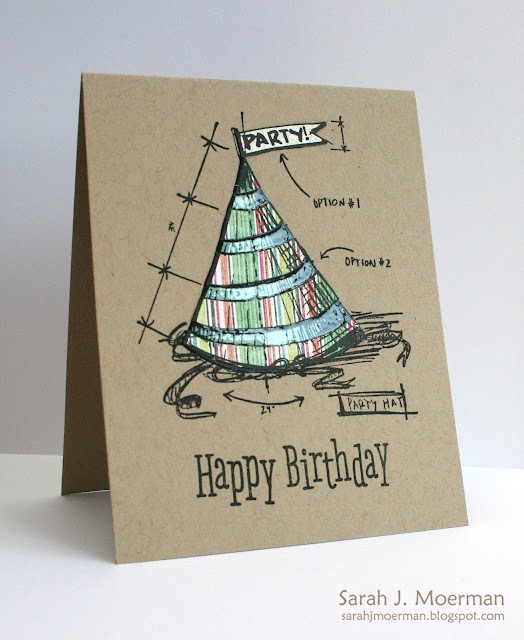 First, I stamped the party hat image on my notecard and then again on a couple different patterned papers which I used to paper piece the birthday hat. Once adhered to my card, I added glossy accents to the blue stripes to finish it off. The sentiment stamp is from a new Hero Arts birthday sentiment set called "It's Your Day." The design team is using Cuttlebug product from Provocraft. 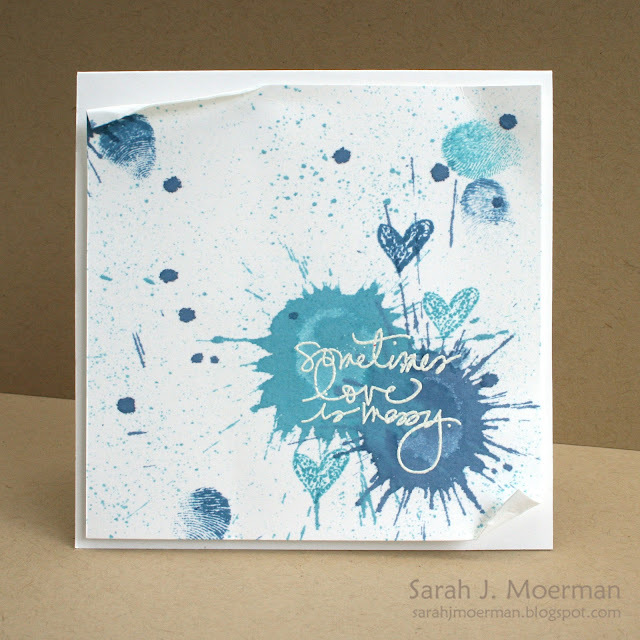 I'm back to share a project for this week's Simon Says Stamp Challenge! 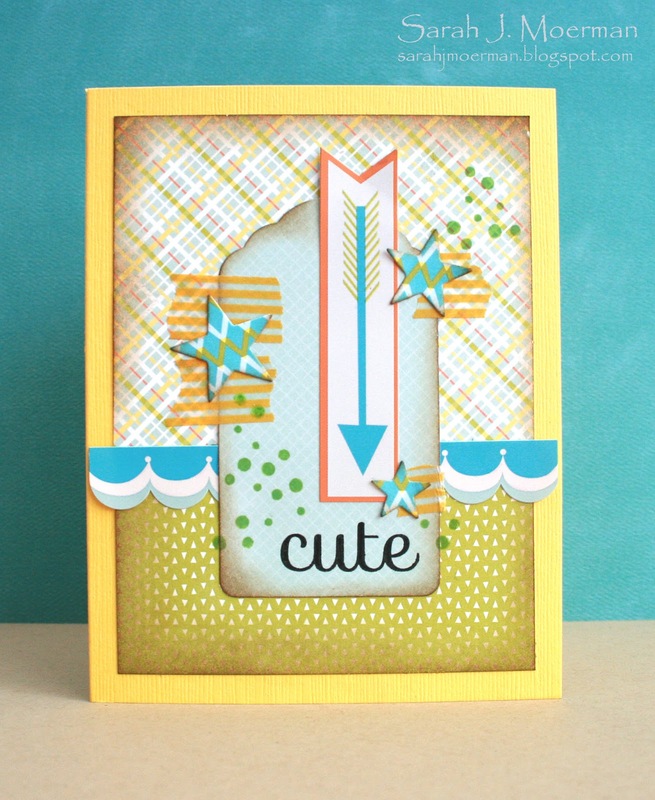 This week's challenge is 'Have a Heart' and the design team is using some fabulous Simon Says Stamp Exclusives. 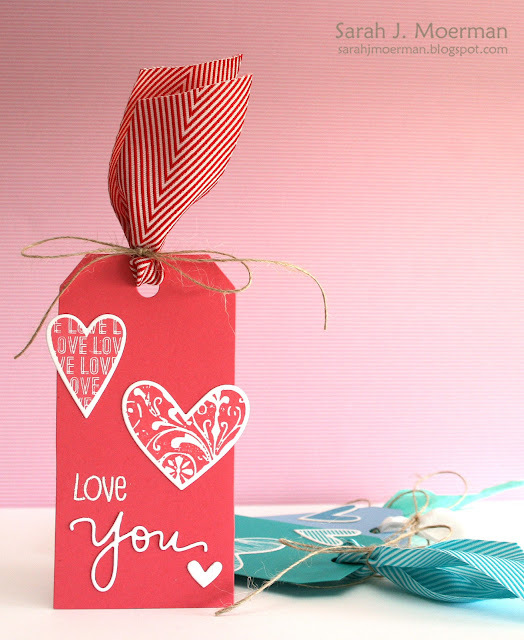 I'm back to announce the winner of the Simon Says Stamp February Card Kit: Style of Love and share a card I have published in Paper Crafts Stamp It! 3 Ways Vol. 2. 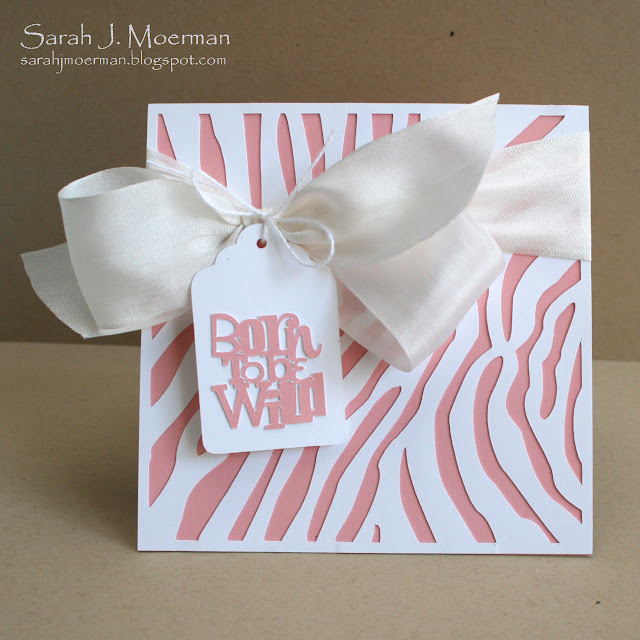 Very sweet card, Sarah! 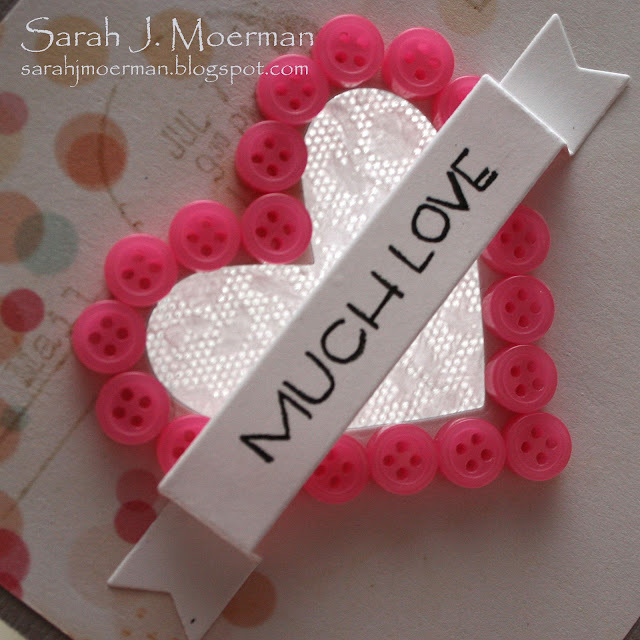 I love the pinks and your use of the doily! Great job! Big congrats! Please email me with your shipping info and I'll pass it on to Simon Says Stamp! Two other designers and I all worked with the same Technique Tuesday stamp set in three different ways. I had fun stepping away from my usual style to make a 'messy card'. 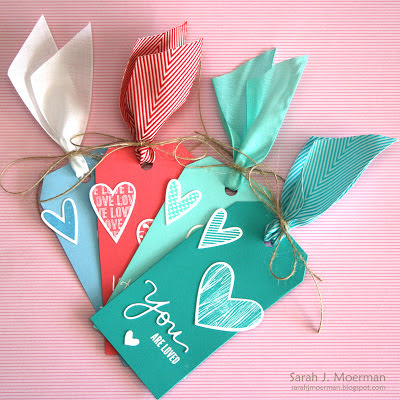 Before I get to today's Card Kit post I want to announce the winner of the Simon Says Stamp 2013 Valentine’s Day Hop Blog giveaway! 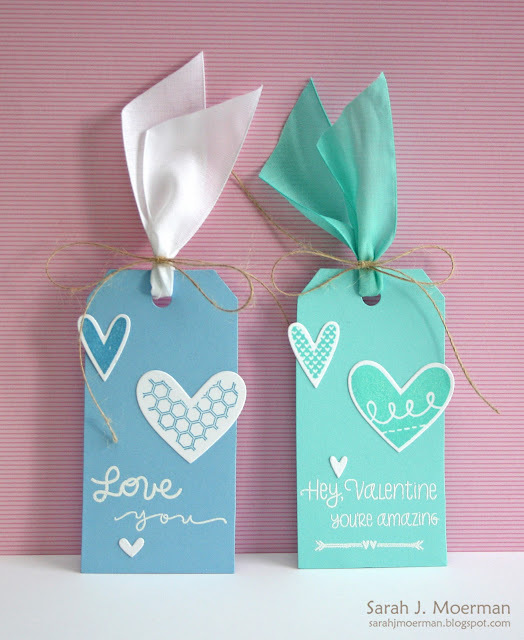 We were overwhelmed by the response to the Simon Says Stamp Valentine’s Day Blog Hop. Thank you so much for your wonderful comments and for playing along. I had so much fun being a part this hop with such talented ladies! Thanks you Heidi, Jana, and Simon for including me! I didn't like black cardstock..till now! Now I have to try this technique! TFS! Congratulations Aaga! 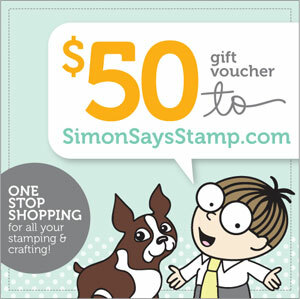 Simon Says Stamp will be in touch with you to get your mailing address so they can get your goodies off to you. 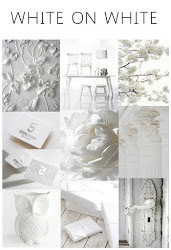 Have fun creating with them and thank you again for commenting on my blog. 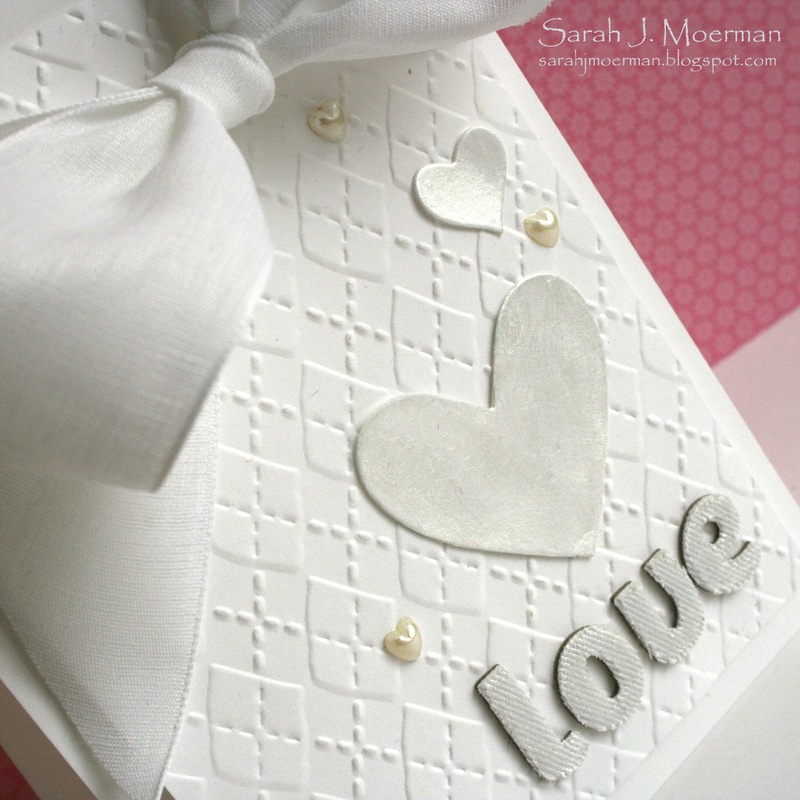 I'm back with one final card this week using the Simon Says Stamp February Card Kit: Style of Love... and one last chance to win one for yourself! I really wanted to use this particular piece of patterned paper this week! All the sweet little circles are so fun! 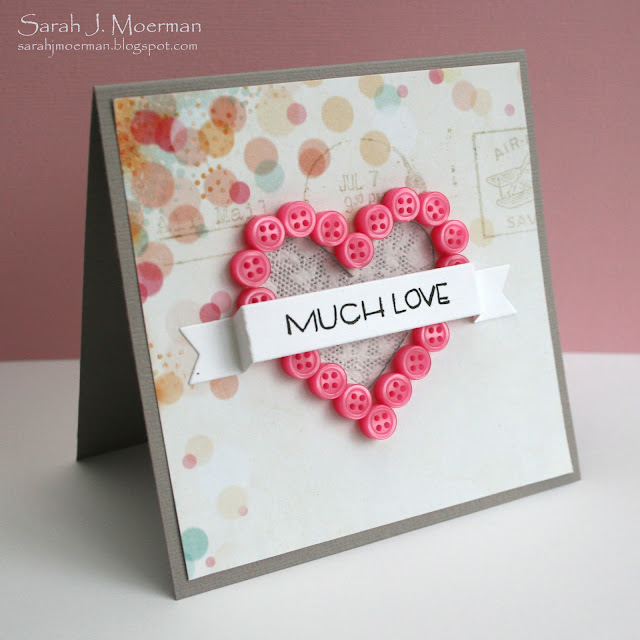 From there I decided to make a window card using a die from Simon Says Stamp's Large Hearts set. 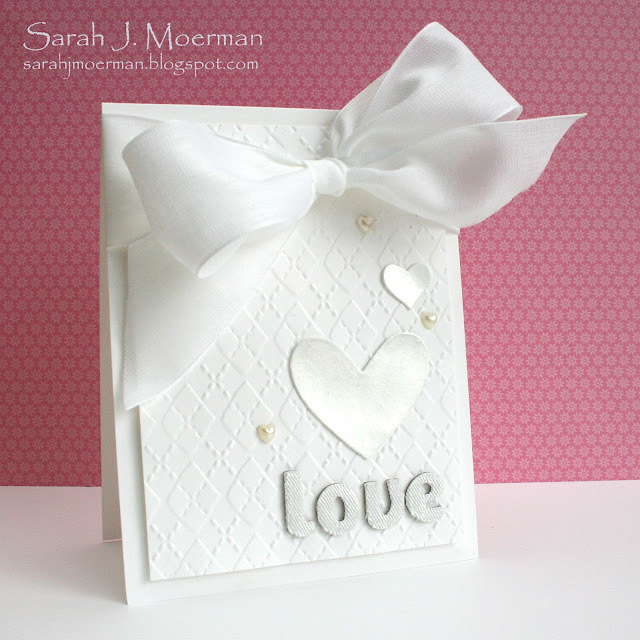 I lined up the patterned paper with the front of my card base, cutting the heart out of both. Next, my Dutch heritage kicked in and I just had put some lace in the window using one of the doilies. :) I then surrounded it with a whole bunch of the cute self-adhesive buttons. Finally, I finished it up with a die cut banner and just part of one of the sentiment stamps from the kit. Thanks so much for joining me this week! 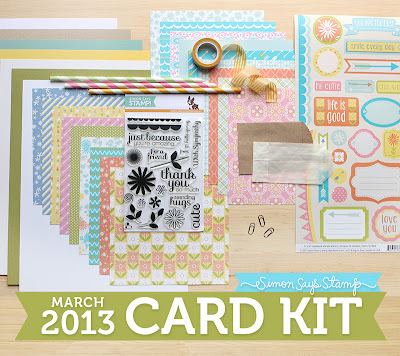 Be sure to leave comments on some or all of my Card Kit posts from this week because sweet Heidi has given me an extra kit to give away! I'll announce a winner next Monday February 4th!